TIME: Chosen by your pastor or group. Triumph of the Light of Christ over all sin and error. [Please read entire proposal below]. On February 2, 2020, which is the day celebrating the double Feast of the Presentation of Jesus in the Temple and the Purification of the Blessed Virgin Mary (also called Candlemas), there will occur throughout the United States the gathering of faithful in their parish churches to pray the Rosary for the intention of the Purification of the Church, and the Triumph of the Light of Christ over all sin and error. The Rosary To The Interior: For the Purification of the Church, while being inspired by the Rosary on the Borders in Poland on Oct 7, 2018, and the Rosary on the Coast in Ireland on Nov 26, 2018, is indeed constituted as something quite different. It requires that we turn our gaze inward in order to see both the problem and the solution. It certainly may be amended to suit individual circumstance, but the intention should remain the same. It is a Rosary to the Interior. 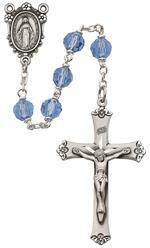 It is a Rosary for Interior Purification. It is a Rosary to rekindle a Light that has been profoundly dimmed. And this is why it almost cries out for Candlemas – the Feast of the Presentation of Our Lord and the Purification of the Blessed Virgin Mary – for its occurrence. The Presentation celebrates the coming of Jesus Christ, the Light of the World, into His Temple. It is, in fact, the premier Feast of Light¸ and the Triumph of Light over the Darkness of Evil. Traditionally called Candlemas, it signifies the “success” and triumph of the Incarnation . . . Read More.